My heart is broken for the families of the victims of this atrocious massacre, but in light of this horrific incident, the families are practicing what they’ve heard preached their whole lives – forgiveness. “Family members of those killed during a bible study at a historically black church in South Carolina Wednesday night were given the chance to speak to their loved ones’ alleged killer during his bond hearing today. “Although my grandfather and the other victims died at the hands of hate … they [the victims] lived in love,” Alana Simmons, the granddaughter of Reverend Daniel Simmons, said in court. “Their legacies will live in love so hate won’t win,” Simmons said. So, how do we respond? I and many of my readers live in Arkansas. We can’t physically be there for the city of Charleston, and even if we could, what could we possibly do? The damage has already been done. So, today I want to talk what we can do now to show the sincerity of our love for Charleston as the city goes through this time of mourning and loss. I believe our response should be one of love, prayer, and forgiveness with a full recognition of Jesus Christ as our Prince of Peace. I watched the coverage on Fox Business of Roof’s bond hearing, and I heard only a portion of the hurt in Sander’s voice as she spoke these words, and the friends and families of the victims say that the congregation completely welcomed Roof as soon as he walked in. They had no idea who he was. They just wanted to love him as they had been loved by God, and that’s what we need to do, love. This passage points us to a time when racism, sexism, and all of the other “isms” are no more, and it points to people that were redeemed by the shed blood of Jesus. All peoples of every tribe, nation, and tongue are singing to the sovereign Lord of the Universe. This is real racial harmony because this is when all earthly races become one race, God’s chosen race, His redeemed people. So, when we go back to Jesus telling us to pray for our enemies, He tells us how to pray in Matthew 6:5-13, and finally He gives us the confidence to pray this way in Mark 11:23-24 when He says that “whatever you ask in prayer, believe… and it will be yours.” So, what should we pray? We pray for the salvation of Dylann Roof and those like Him, but we pray ultimately that God will have His way with him. One of two things will happen by the end of Roof’s life, He will either stand before God justified by grace, through faith in Jesus Christ, or He will stand condemned, under the kindled hot wrath of Almighty God as servant of sin. And either way, God will have had His way with him. What he did was horrible beyond description, but when he stands before the judgement bar, only God can judge him and we must come to terms with that. I want you to notice something in this passage. Jesus doesn’t put any conditions on forgiveness. He doesn’t say, “Wait until the offending party asks for forgiveness.” He simply commands us to forgive others their trespasses regardless of the act, regardless of whether they ask for it, and especially regardless of whether or not they deserve it. Our whole motivation for forgiveness to see how much God has forgiven us in Christ (Ephesians 4:31-32). 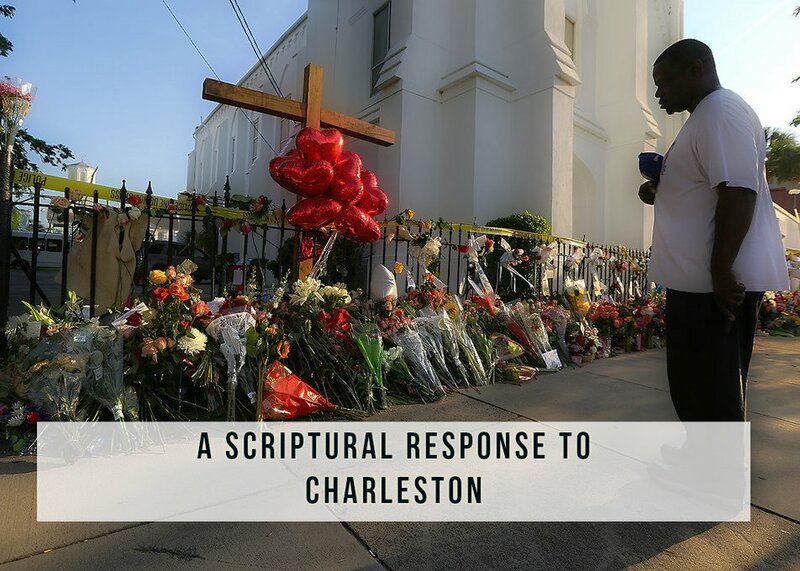 The families of the victims have shared the Gospel and extended forgiveness to Dylan Roof, and I truly believe that the Bible commands us to do the same. The Christian Post stated that a gospel musician by the name of Marcus Stanley left a message on Roof’s Facebook before it was taken down for security reasons, and in a portion of the message Stanley gave an invitation to accept Jesus Christ as his Lord and Savior. The prophet Isaiah proclaims that Jesus will come as the Prince of Peace. Paul tells us in Ephesians 2:14 says that Jesus is our peace because He breaks down racial, cultural, and national barriers and brings near the throne of His grace by His blood. We live in a broken world. What happened at Charleston is proof of that (as if we needed more proof). Only Jesus can bring peace to all the futile racial wars that fallen man fights. His redemption by His destroyed all walls and beckons us to a life of love and Christian unity. Charleston needs Jesus. Dylan Roof needs Jesus. I need Jesus. You need Jesus. This world needs Jesus. A while back I preached on the subject of the Prayer Closet. I’ve found myself being gripped again by the conviction of the Holy Spirit about this subject. I’ve failed in my own life to pray like I should. I have a great head knowledge of prayer, but the journey from my head to my heart seems to be longer than it seems. God has been showing me recently that effective prayer will always do one of two things. It will change the situation or it will change how you view the situation. When Jesus tells us to pray, He tells us to go into our room. I’m old school, so I prefer how the King James renders the word “room”. It calls it the “closest”. The word “closest” might give us the mental imagery of that miscellaneous room in our house where we keep coats, jackets, old clothes, board games, and various other things. But, what do we put in the closet? What do the coats, jackets, old clothes, and various other things have in common? Why do we put them in the closet? It’s simple. We don’t want to deal with them. So, what is Jesus saying when He tells us to go into our closet? Is it so we can have private time with God? Certainly that’s part of it because Jesus even says that the hypocrites love to stand in the street corners and the synagogues and pray publicly, and He tells us not to be like them. But I think there’s another aspect of the closet that we’re missing. The closets in Jesus’ day weren’t much different than our closets today. They were storage spaces, and guess what went in their closets. That’s right. Crap they didn’t want to deal with. In Jesus’ command for us to go into the closet and pray is not just a command to pray privately, but a command to confront issues in our life that we’ve dismissed and just don’t want to deal with anymore. Maybe there is habitual sins in our lives that we’ve tried to hide away from everyone else and shove into our proverbial closet, but Jesus clearly sees what we choose not to see and implores us to to go to Him in our prayer closet confront everything that might hinder from a deeper walk with Him. It actually implies that our Father is in the secret place waiting on us to come to Him in prayer. He’s excited to hear from us in prayer, and He longs for us to allow Him to work in our lives and deal with those issues that we’ve shoved away for so long. A chorus of ‘ayes’ and it was done. 23-year-old J. J. Parker was no longer the pastor of the small church that had voted him in a little under a year ago. What was the reason? Was it financial infidelity? Was it sexual promiscuity? Did he preach heresy? Did he have a hidden problem with drugs or alcohol? No. Even worse. He voluntarily paid for the church to have new carpet. Not even a new carpet color, just new carpet. And when he moved the pews back, he forgot put Brother Taylor’s pew back in the third row. This wasn’t just any pew. This was a pew that Brother Taylor had placed there in memory of his father who had been a deacon at this church for 32 years. This careless act of forgetting to place that pew back in the third row had gotten him voted out just as quickly as he was voted in. This story is based on true events that happen in churches all across the country all the time. Why does this happen? Why can’t a church keep a pastor for more than a year or two at a time? Immaturity. That’s all it boils down to. People are immature in their faith and they begin to identify themselves with a person or a movement other than Christ. It’s okay to be fans of some theologians or follow some movements to see what God is doing through them, but it’s never okay to place your faith in that person or movement because they can fail. Churches often place their identity with a pastor that catered to their every whim and did things exactly the way they wanted them to be done and as a result they handicapped that church and left them to wallow in their immaturity when it came time for them to leave that pastoral position. This is a disadvantage not only to the congregation, but to the new incoming pastor that has to clean up the mess that the old pastor left behind. 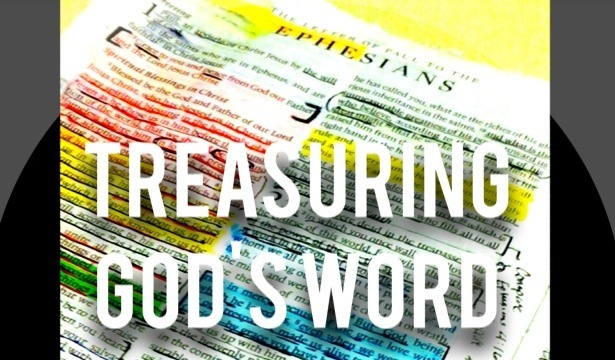 What Paul addresses in this passage is maturity and growth. He is writing to them a second time (1st Corinthians is actually the second letter to the Corinthians because the first letter was never recovered, thus 2nd Corinthians is actually the third letter), and he’s not perfect people by any means, but he is expecting a people that have grown since the last time he wrote to them. He’s thoroughly disappointed. Parents, imagine you’ve potty-trained your baby. They are now independently going to the bathroom on their own. Then one day you’re in the living room and your child is play with his/her toys and you see that familiar look on their face and that all too familiar odor creeps into the room. After once going to the bathroom on their own. They’ve pooped their pants. This is no accident. This is a regression back to days gone by when making the effort to go to the bathroom was even an issue and someone else could clean up the mess. This is exactly what Paul is feeling at this point when the Corinthians are exhibiting immaturity and lack of growth. Ultimately, what is happening is that these people are attaching their faith to a person rather than putting their faith in Christ. The Corinthians are forgetting that guys like Apollos and Paul had to be trained in godliness just like they are being trained in godliness (Acts 18:24-28). We idolize people instead of worshiping, loving, and receiving instruction from Jesus. In the end, when we truly submit to God’s Spirit we allow Him make us mature and grow us in the beauty of His holiness. In this post what we will attempt to cover is the humanity of Christ which is just as important as affirming the deity of Christ. If we make the mistake affirming Christ’s deity and not His humanity, then we commit the Gnostic heresy of believing that Jesus was some supernatural angelic figure that had no human qualities. This would be described as the early Church heresy of Docetism that taught that Christ only appeared to be human. This teaching as well as the teaching of Apollinarianism (the teaching that claims that Christ had a human body, but not a human mind or will. If this view were true then Christ could not redeem the human mind or will, only the the body. But Christ did not die for only certain aspects of humanity.) stood in stark contrast to the Biblical concept of te incarnation. Jesus died to restore all the aspects of humanity, which is why we can have a renewed mind (Romans 12:1, 2), a new spirit (1 Thessalonians 5:23), and a new body (1 Corinthians 15:51-55). Here’s the thing, if you read the Bible and claim to believe in the Bible as the inerrant word of God, then you can’t deny Christ’s humanity. He was hungry, He was thirsty, He experienced pain, He experience happiness and joy at celebrations with friends and family. Not only is He just as much God as His Father in Heaven, but He was just as much human as we are. 100% man. 100% God. As a result of being fully human, Jesus can fully restore all aspects of our human nature. Jesus made all of this possible by the blood of His cross, and He rose victorious over sin, hell, and the grave. Allow these last two passages of Scripture to resonate in your heart as you consider the humanity and deity of Christ.